Blackburn vs Birmingham predictions ahead of this Championship clash on Saturday. Can Rovers claim a victory? Read on for our match preview and free betting tips. Two sides just outside the play-off spots go head to head on Saturday, as Birmingham head to Blackburn. The pair aren’t too far off the top six, with the pair sat on 30 points apiece. The duo still have work to do to boost any potential promotion hopes, making this game a bit of a showdown. Will the Blues land an impressive victory in their visit to Ewood Park? Following their slip up last weekend, the visitors need to pick things back up again to stay in reach of the top six. The hosts picked up a point at Middlesbrough last week, keeping them in the top half. For a side who have just claimed promotion in League One, Rovers are doing well to stay in the hunt for the play-offs. A return to the Premier League is likely to be a big aim for Tony Mowbray and his side, but they aren’t expected to pull that off this term. However, they’re likely to remain competitive in and around the top six, something we saw Sheffield United and Millwall do last season after they came up. 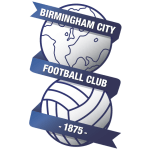 Birmingham are six points shy of the play-offs following a clash with Bristol City last time out. The Blues were beaten 1-0 by the out of form Robins, and that setback could be a factor here. Garry Monk had built up some great momentum from their unbeaten run earlier in the season, but they have been a little more inconsistent since that run ended, which is another concern going into this trip. They face a Blackburn side who have been solid at home, while the hosts’ solid draw last time out should have them in a good frame of mind here. The Blues have picked up recent wins in the league, but overall they’ve won just twice in six. They make this trip with issues at the back, having shipped three at Derby and four at Villa in recent matches on the road. While they returned to form on their travels last time out, beating 21st placed Millwall isn’t a ringing endorsement. With two defeats in three away games – and just three wins in 10 trips – it’s hard to see the visitors getting a result in this trip. Birmingham have produced one goal and one point from their last three trips to Blackburn. In 15 matches between the pair at Ewood Park, Birmingham have won once. We see them tasting defeat here, given that Rovers have lost once in their 10 home games this season. The hosts have won three of their last four at home – including wins over Leeds and QPR – so we’re backing them to claim the points here. Birmingham have only won two of their last 11 league games against Blackburn (D6 L3). 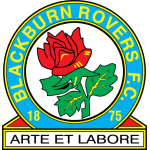 Blackburn have lost just one of their last 30 league games at Ewood Park (W18 D11), a 2-0 loss to Sheffield United in October. Bradley Dack’s nine Championship goals so far this season have earned Blackburn 12 points – only Billy Sharp has won more points for his side with his goals (11 goals winning 13 points for Sheffield United).